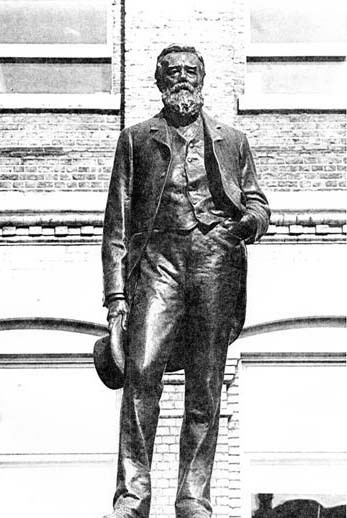 George Livesey by Mary Mills An updated version of an article which first appeared in ‘London’s Industrial Archaeology’ No4. (GLIAS 1989) George Livesey became Chairman of the South Metropolitan Gas Light and Coke Company in 1881 having worked for the Company since 1848 and was a prominent figure in the industry of South East London. His work as an innovative gas engineer has in recent years been overshadowed by his reputation promoted, by labour historians, as a strike breaker. What has not been emphasised is the change he wrought in the gas industry using not only administrative skills but also technological ones. Biography should attempt to’ describe the whole person and the following brief account of Livesey’s life is an attempt to describe his achievements without isolating them from each other. George Livesey’s family background was that of a small business man. His grandfather was a greengrocer in Bethnal Green in the 1820s. His great uncle, Thomas Livesey, a City hosier, had become a Director of the first London gas company, the Chartered Gas Light & Coke Company. As Deputy Governor of that company he had largely masterminded the setting up of administration. Thomas’s two nephews, the greengrocer’s sons, were given jobs at the Chartered’s Brick Lane works. One of these, William, went on to become a specialist in gas legislation and a Parliamentary consultant, the other, another Thomas, was George Livesey’s father and in 1839 he became Chief Clerk at the Old Kent Road Gas Works of the South Metropolitan Company situated beside the Surrey Canal. By 1839 the South Metropolitan had had a fairly turbulent history. Its origins in 1832 were in the days when many gas companies were started by charlatans and speculators. There had been financial and technical problems. The Company had employed as an engineer George Holworthy Palmer and following a series of disputes between Palmer and the board over patent rights an explosion in an unventilated purifying house had wrecked much of the works. When Thomas Livesey moved into a house in Canal Grove with his wife and two small children the company was hardly a going concern. When he died 32 years later it was outstandingly efficient in terms of production and price. It is not easy to write anything serious about. George Livesey and the South Metropolitan without understanding the politics of the gas industry in the last century and that is not easy to summarise. The main preoccupation of both industry and government was in making a privately owned, albeit statutory, industry accountable to the local authorities to whom it sold its product in the form of gas for street lighting. Under Thomas Livesey, the South Metropolitan’s response was to restrict dividends and to invest profit in improvements in the works thus keeping prices as low as possible. George Thomas Livesey was born on 8 April 1834 in Canonbury Terrace, now part of Alwyne Villas, N1. He was christened in St.Luke’s, Old Street, EC1 – recently renovated as a music centre, and near to the site of Brick Lane Gasworks where his father worked. His father was recruited to manage the Old Kent Road Gas Works in 1840 and the family moved to a house in Canal Grove, adjacent to the works, where Livesey was brought up. He was to say that the works were his playground. He had a sister, Ellen, who, sadly died at the age of 26 and a much younger brother, Frank. Canal Grove, SE15 still exists as a charming row of cottages just off the Old Kent Road on the west of the Surrey Canal, refurbished by a housing association. The Liveseys lived in the first house from the Old Kent Road; foremen occupied others. His parents stayed there for some years, then moving to a house in Consort Road, Peckham and eventually to Thurlow Park Road. There is no record of his education – although his brother, Frank, was to attend Dulwich College followed by a University Education at Kings College. The indication is that George was educated at home by his mother and at 15 started work as his father’s assistant. As a teenager he “signed the pledge” and at the age of 17 attended the inaugural meeting of the London Band of Hope – thus started a life-long commitment to the temperance movement in which he was active both locally and nationally, together with a strong commitment to the Anglican Church. From his youth Livesey was a Sunday School teacher at old Christ Church, Old Kent Road. The present church, opposite the works was a replacement for one demolished by the company for the site of the retort house. The pinnacles of its tower for many years surmounted the works offices. In later years he was connected with St.Jude’s Church, Dulwich Road, SE24. Now “London’s No.l for Office Furniture” the church apparently still has an incumbent who holds services in a local school. He married Harriet Howard, the daughter of a Rochester tallow chandler in 1859. The wedding was at at St. Mary’s Church in Peckham, St.Mary’s Road, SE15 – bombed and rebuilt since then. During their married life they moved several times starting off at 3 Rye Hill Park, now demolished, as is 147 Lower I Tulse Hill. Another of their residences was in Herne Hill, at that period an area lived in by many industrialists including, Bessemer. On retirement Livesey had a house built, Shagbrook, Buckland Road, Reigate, which is now divided into flats. His career at Old Kent Road moved steadily forward . The site of the Old Kent Road Gasworks changed considerably since the 1840s when it occupied a narrow strip stretching alongside the Surrey Canal from the Canal Bridge. As the Company was able to purchase freehold land further down the Old Kent Road, leasehold land near Canal Bridge was released. The area we see now with gasholders and the office block (now in other use) was not part of the original site. The Surrey Canal was used to bring coal into the works from wharves on the Thames. The canal frontage on the Old Kent Road works has since been built over changed – it is now both inaccessible and difficult to find. Further south the Peckham and Camberwell branches have been landscaped as part of Burgess Park and include many interesting relics of canal side industry, including a preserved limekiln and the ‘Camberwell Beauty’ mosiac. To the north the route of the canal is easily followed to the river Thames and includes a stretch of the Surrey Canal Road, SE15. During the 1860s George worked on a number of projects. For example, he designed a chimney from the retorts at Old Kent Road, he had superintended the laying of mains, and the building of a gasholder. Some of this work had been done directly to his designs and supervision without contractors. He held patents for a number of devices. For a while he worked on a purifying process for ammoniacal liquor. This should be seen against the background of patents being obtained by the Deptford chemist F.C.Hills. Earlier Hills’ patents had been the subject of much controversy and litigation in the gas industry. Livesey’s work in this field was not cost effective but the episode illustrates his approach to problem solving. In 1871 George became a member of the Institution of Civil Engineers. He was by that time Engineer at the South Metropolitan. As a consultant he had designed Tynemouth Gas Works and was engaged in the construction of works at Aldershot and Coventry. He became a Member of the Institution of Mechanical Engineers in 1901. Thomas Livesey died in his doctor’s surgery in 1871 and George was made Company Secretary and Engineer, although apparently not without some hesitation on the part of the Board. They were no doubt apprehensive about working with a man, who while very competent, would not be easy to deal with. He soon explained that he preferred the work of an Engineer, but that by becoming company secretary and being elected by the shareholders he could not so easily be dismissed. Company meetings were sometimes charged with disagreements between Livesey, the Company Secretary and the octogenarian Chairman. In 1872 he gave controversial evidence to a Parliamentary Select Committee, later claiming as defence against the criticism he provoked to have been called under “Speakers Orders” i.e. that he had been instructed to give evidence. He proposed a scheme whereby price and profit could be linked into an automatic sliding scale, thereby giving an incentive to economy in an industry in which normal competition was not practical. He was to describe this as a “partnership” between customers and company. This theme of partnership continued throughout his life. The sliding scale of price and profit was gradually taken up by gas companies throughout the country, usually by government persuasion. It became the ruling modus operandi in the industry until the First World War and was in many ways massively successful. But it was not popular in many quarters of the industry and earned Livesey much hostility, as it was an effective method of price control. Government came to believe that efficiency in the industry could be best served by fewer large companies rather than a number of small ones and began to press for amalgamations. In North London the Chartered was soon to control all areas except a small enclave of East London under the Commercial Company. The South Metropolitan was the smallest of the three big South London companies, but, due to Livesey’s negotiating skills by 1880 they had taken over Phoenix and Surrey Consumers and were beginning to mount a take-over bid for the Chartered north of the river. Only the direct intervention of the Board of Trade stopped this. For the rest of the century gas prices in London were directly controlled by the South Metropolitan; the Chartered and Commercial companies having to set theirs legally in line with those charged by the South Metropolitan through their statutes. George Livesey officially retired in 1881 but was elected to the Board, and within a further six months he was Chair, a position he held until his death in 1908. He was also Chair of the adjacent South Suburban Company and Deputy Chair of the Commercial. With the Chartered he remained on very bad terms, turning up at their Company meeting to make dramatic speeches pointing out the faults of their management. 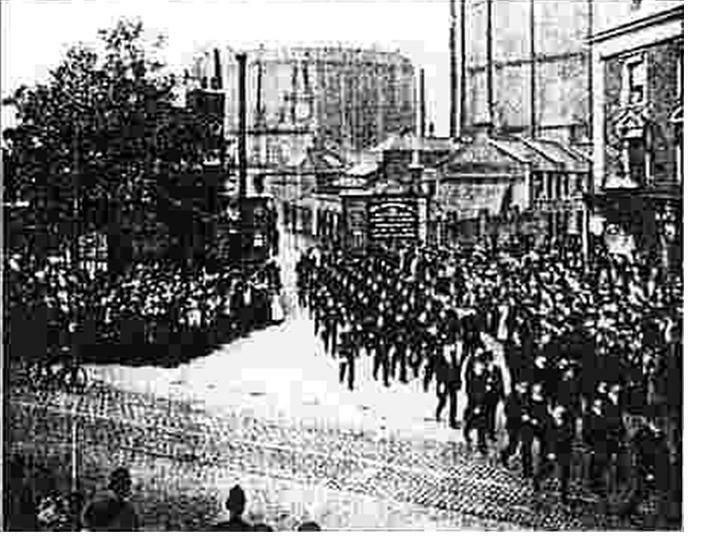 In, 1889 a dispute between the two companies over gas supply to Nine Elms Goods Yard led to an appeal to the House of Lords. His criticism was to lead to the setting up in 1899 of a Royal Commission to look into metropolitan gas companies. He had been involved in the Institution of Gas Engineers (then the British Association of Gas Managers) since its start in 1863 being president in 1873 and winning their Birmingham medal in 1882. In 1883 he was responsible for setting up much of the International Electric and Gas Exhibition at the Crystal Place in Sydenham. Allocation of display space led to a concerted attack on him and his associates by George Bray, a fittings manufacturer. The row led, via the High Court, to a break up of the professional institution and for some years two rival bodies claimed to represent gas engineers, the Gas Institute and the Institution of Gas Engineers. This dispute was not to be resolved until the establishment of the Incorporated Institution of Gas Engineers, and the reconciliation of Livesey and Bray. By the early 1880s the South Metropolitan ran five works in South London together with a number of holder stations. There had been were two other main South London companies which were amalgamated with South Met. in the late 1870s: The Surrey Consumers Gas Light Company with a works at Rotherhithe Street, SE16. 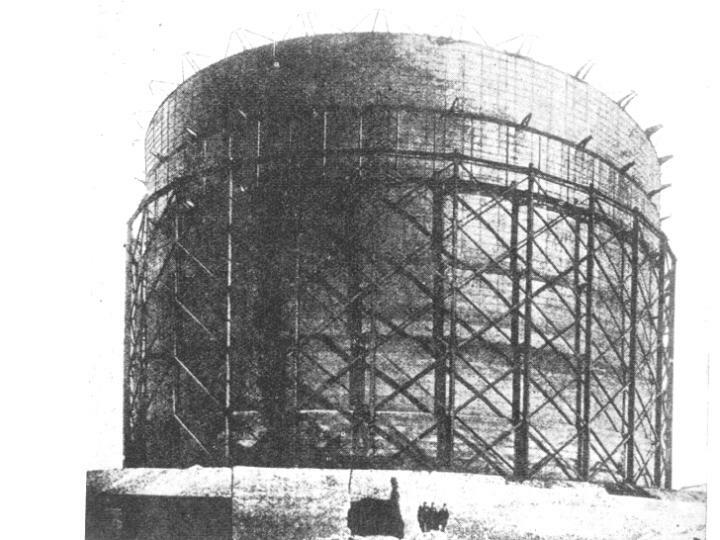 The site can be identified from the modern gasholder still standing off Salter Road. There is also some company housing in the area i.e. Moodkee Street, SE16. The Phoenix gas Light and Coke Company. They had three works Bankside – now part of the site of the Tate Modern – this had been one of the earliest London Gas Works dating from 1815 and not closed until the 1950. Greenwich Thames Street, SE10 – this site occupied the tip of the Creek on the east bank and a tank of 1852 holder remained on site until recently as a storage pit. This works dated from 1826. Vauxhall Works. Gasholder Place, SE11 – some buildings remain, including the famous holder seen from the Oval Cricket ground. In addition there were a number of smaller properties used as holder stations or subsidiary works often the works of smaller companies already subsumed. For example: Roan Street, SE10 – flats built on this site in the 1960s are currently being demolished. This was a holder station for the Phoenix Works. Creekside, SE8 immediately south of the railway was the site of the Deptford Gas Company (previously the Greenwich Railway Gas Works). It has recently become the Creekside Ecology Centre. Evelyn Street, SE8 just before the canal bridge up until 1990 a metal plaque on the north side of the road advises you to ring the South Eastern Gas Board on NEW CROSS 2000! A house has since been constructed on the site of what was probably a holder station for Surrey Consumers. In Woolwich they had bought two works which were almost immediately closed down: Woolwich, Plumstead & Charlton Consumers Gas Company on the riverside at the end of the then Short’s Alley Woolwich Equitable Gas Company at the end of Harding Lane. This site was excavated by the Kent Rescue Archaeology Unit. This paved the way for the purchase of land at East Greenwich and the erection there of a ‘super’ works to rival Beckton. This site occupied much of Greenwich Marsh from the early 1880s and is the works so denigrated as a polluted horror when it became the site for the Millennium Dome. Almost nothing remains on site except gasholder No.l. Built in 1886. A giant in its own right it was the largest in the world until 1888 when it was eclipsed by No.2 the largest holder now demolished. Two legs of the massive jetty remain as a support for Anthony Gormley’s ‘Quantum Cloud’. Until 1998 the film industry was making good use of a post war sulphate house – which, inevitably, was demolished pre-Dome. The land purchase included a number of concerns in the area which became subsumed into the works as a whole – which became the Ordnance Wharf tar works, and the Phoenix Chemical Works. The jetty at Ordnance Wharf remains as a decorative feature. The land purchase included a dry dock on Blackwall Point, acquired by South Metropolitan by the compulsion of the House of Lords in return for the statute for land purchase. It was disposed of by them and following a series of failures by successive owners was re-acquired and turned into a storage reservoir. A capstan, allegedly from this dock, is now to be seen in Museum in Docklands.